Since we first launched the Wildlife Conservation Stamp Project, we’ve made our case to thousands of birders and photographers. We’ve worked to change the dialogue around the Duck Stamp in public discussions and meetings, and we’ve reached out to Refuge officials and conservation officers to argue for the viability of this concept. As with anything new and in contrast to the existing model, it takes time to plant the seeds of change. It’s natural to encounter resistance which, of course, we have. Progress has been slower than we would like, but definitely not slower than we anticipated. We’ve said from the outset that we are in this for the long haul — and we are. We also knew at the start that a significant percentage of our effort would be devoted to simply convincing people that a new funding tool is not just an imperative, but also something that would have the support of thousands and millions of non-hunting Refuge visitors. We knew from existing debates at the time that there would be some dissent between Duck Stamp supporters and those who want an alternative. But we’re moving closer to our goal. And we pay attention to incremental change as well: to the mentions and link backs we now regularly get when the issue of the Duck Stamp comes up; to the gradual acceptance, even among hunters, that it’s time for a birder’s stamp or pass; to comments from prominent legislators like Al Franken, who fully support the idea of a secondary funding stream. We’ve listened to feedback, both positive and negative. 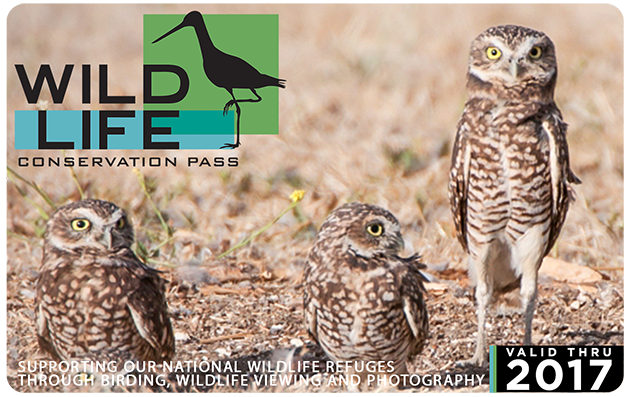 And, one of the common ideas throughout is that birders, photographers and other wildlife watchers deserve and are excited about a Refuge pass they can call their own. They want, especially, to distinguish their role as non-hunting conservationists, without in any way competing or detracting from the existing heritage — a way to work in confluence, while also generating the community passions that the Duck Stamp does for hunters. 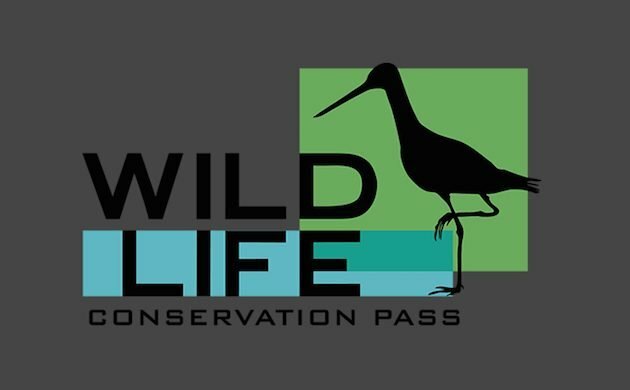 We’re relaunching the project as the Wildlife Conservation Pass. Rather than promote a second stamp, we’ve created a brand new alternative that stands on its own. It’s modern, and its design can be adapted for a variety of uses (see below). 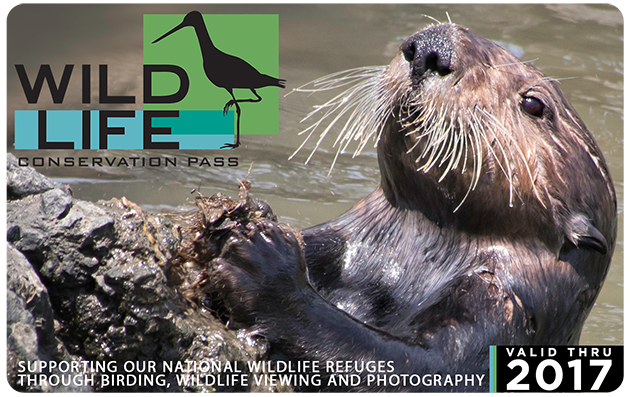 This will be an innovative way for us to show our support for the National Wildlife Refuge system. In conjunction with our concept change, we hired a San Francisco Bay Area graphic artist to design our new logo, and we’ll be ramping up even more, our social media presence on Facebook, Twitter, Flickr and Instagram. We’ll also be facilitating increased outreach to new supporters and legislative members who’ve shown their interest. Many organizations now feature credit-card-sized passes for their members — easily traveled in a wallet and large enough to feature scan & bar codes for the types of commercial tie-ins we have planned. Compared to a stamp, the larger format of the pass will do a superior job of showcasing the winning images from nature photographers who enter the contest. The modern design distinguishes our project from the existing Federal Duck Stamp, respecting the stamp’s unique history while appealing to our large and growing demographic of enthusiastic wildlife watchers, as well as newcomers to birding and nature photography. We feel this logo and format expresses our contemporary ideas on functionality and wildlife management. 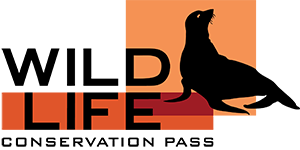 You’ll note the separate words “wild” and “life.” This evolved from our artist’s creative input, signifying not just protection of wildlife as a whole, but our focus on valuing and protection of all life as it exists in our Refuge system. Our mission and ethic is to protect all species, from the amphibians burrowed and obscured in the mud, to the ecologically-critical predators often overlooked in game management systems. 1. 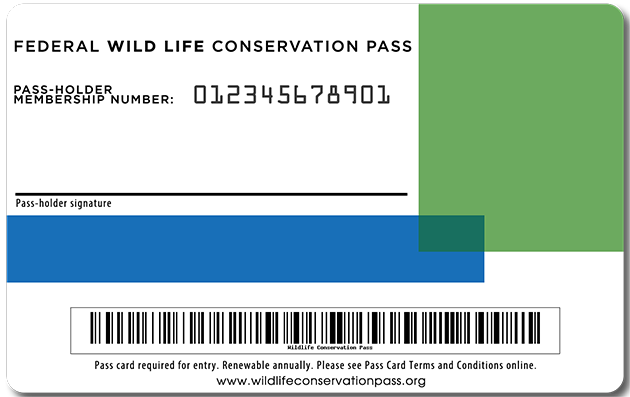 Would you buy a Wildlife Conservation Pass if it were available, in the ballpark of $20? 2. If you do not support a new Wildlife Conservation Pass, why not? 3. And, if not, what would you like to see before you could support it? a. More commercial tie-ins and benefits for birders? b. A different price point? c. How the funding will be distributed? 4. 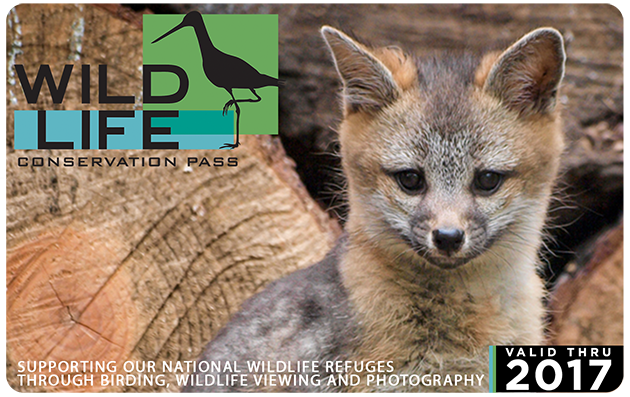 Wildlife photographers, would you pay a nominal entrance fee to compete in a nationwide contest to have your image featured on the pass? If so, what is a reasonable fee in your mind? 5. And — your thoughts in general. All comments welcome. Congratulations Larry! The passes look beautiful! You have been working hard. I’ll work hard for you/ with you on this one. I would buy one, if only for the more convenient card format. I currently have a Duck Stamp in a keyring holder, and apart from any philosophical thoughts about it, it’s inconvenient to first of all have another big item on my keyring and second to have to unclip it to show at refuge entrance gates. A wallet card would be great. Thank you Regina. We feel that this contemporary card with the barcode is a much more practical alternative to the stamp that will give us the opportunity to work with companies across the nation to offer our conservation minded contributors deals on everything from sporting goods to hotel rooms. Sign me up, Larry — I think it looks terrific and would be proud to carry one! In the meantime, you can like us on Facebook or even add your name to our list of supporters along side Corey and Mike! I think the work you have done here is fantastic! I live in Mexico, so have liitle chance, if ever to take advantage of the card, but at $20.00 would buy one in a heart beat! 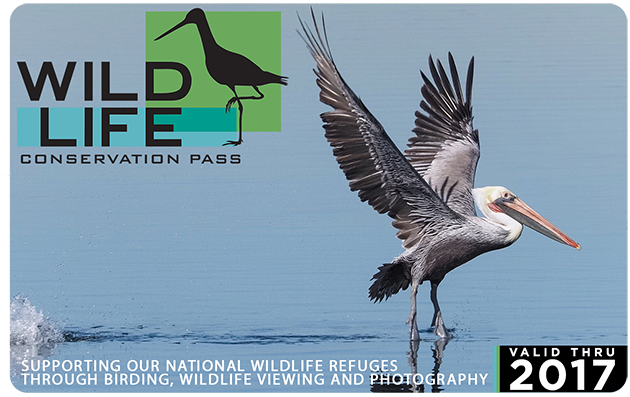 As a full time photographer/guide I would be thrilled to support the refuges’s thru the purchase of the card as well as entrys into the photo contest. I would have no problem with a $10-$20.00 entry fee for said contest. Thank you for all the work you have put into this! Love the design and concept. Nice job. Thank you Lois! We do too! The San Francisco graphic artist did an excellent job creating a stylish and engaging design. Wonderful, yes I would buy one and as a card instead of a stamp it would go in my wallet instead of on a wall. I think the images you show are excellent. My only added comment is that it should include botanists and have a flower or two on the card. Since wild and life are separate, it only makes sense that ecosystems, plants, and animals are all inclusive. Heck even butterflies and dragonflies have a unique but not always separate constituency. I like the idea and I look forward to owning one! Thank you, Larry! I know you have been working hard on this and, as a result, I have had to miss out on some of your wonderful Birders Reports! So happy to see the fruits of your labor. It is a great idea and I will support it. Hi Cathy! The Wildlife Conservation Stamp/Pass project has consumed much of my online and offline time but I know it will all be worth it when we get this new income stream going for our National Wildlife Refuges. Our refuges are in dire need of more funding and from the comments we and the USFWS have received, as well as comments we see from many different sources, the birding, photography, hunting and wildlife watching communities are all ready for this simple solution to a longstanding issue. I apologize for the lack of postings on my own blog but this project takes top priority and I pledge to keep at it until it is implemented! Your vision and work on this are a gift to us all and to the Earth. Yes, I would buy the pass, and yes I think being priced in the high teens would be slightly better in terms of encouraging purchases. I also think transparency in terms of where the money goes is highly important in these times. Thank you Larry!! Hi Laura, I appreciate your generous comment and your thoughts on a price point. As for transparency on what the money will be used for we insist on that! As my brilliant co-founder Ingrid Taylar stated in her reply to Catharine’s comment above, the preliminary funding breakdown we’re using allocates a percentage to land acquisition, and a percentage for education, and studies and programs specific to the conservation priorities of non-consumptive users. Fantastic. I would definitely buy it , think a card format makes sense, like the idea of featuring more than birds, and love the new logo and design. Thank you for all you are doing for this cause. Thank you for your support Penelope! We are very excited about the new format and the concept of featuring all manner of wildlife on the pass. We are also thrilled about the possibility of having thousands of wildlife photographers submitting their wildlife photographs, of not only birds but mammals, reptiles, insects, aquatic animals and plants, vying for the opportunity to have their photograph featured on one of the new Wildlife Conservation Passes! Compare that to the total of only 157 Duck Stamp artists that entered the 2015 Duck Stamp Contest!